Welcome to the first Club Chat of 2017! I hope you have all had a successful and enjoyable summer of Athletics. It’s definitely been awesome to see so many children involved this year and the excitement of Athletics (especially Pole Vault) heightened after Rio. As all the summer clubs breathe a sigh of relief we wish the winter clubs all the best for the coming Cross Country and Road season. We have some exciting things in the pipeline at Athletics NZ in 2017 including the redevelopment of the Run Jump Throw programme, an interactive website for our Children’s programmes, a new Coach Education Framework and a new member management system. Watch this space over the coming months. 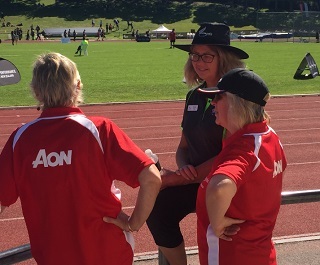 As we come to the end of a busy Summer Track and Field season Athletics NZ would like to thank the thousands of volunteers out there that have given up so much time to help provide their clubs and communities opportunities in Athletics. Whether it’s, coaching, officiating, balancing the books or helping cook the sausages on club night - they are all important in helping make athletics happen. You are all truly amazing and athletics couldn’t function without you! THANK YOU! Clubs if you have any superstar volunteers that you wish to nominate in the lotto nominate a Sport Maker campaign. Check out https://www.lottovolunteers.co.nz/ for details. Heaps of cool prizes up for grabs. It’s that time of year again. From April 1 Member Club Affiliation is open for the 2017/18 season. It’s the same process as the previous few years. You will need to fill in the online form and will be given the choice of paying online or by an alternative method. The purpose of the online form is to gather up-to-date contact details to improve our communication with all clubs. The form will take around 10 minutes to fill out and will require you to enter key club contacts (E.g. President name and email address). Please follow the instructions below. As you may be aware we have just transitioned across to our upgraded membership database and registrations for the winter season opened for most clubs on 1 April. With many new clubs choosing online registrations this year we would like to remind you to update your bank details if you haven’t already done so. If you bank details have not been submitted to SportsTG then they cannot pay you your weekly membership settlements from the previous weeks transactions. 1. When manually making a member financial, be sure to first add a Member Type, before adding a Subscription Type. See Managing Members for more information (this has recently been updated). 2. To get a list of paid and unpaid transactions, go to Membership > Financial > Subscriptions and filter (funnel icon) for status being paid or unpaid. Click the blue Actions > Export, to export the list to Excel. See the Finance document for more information. 3. Any member submitting their information online but not paying by credit or debit card will show as being unpaid and will need to be processed as per a manual member. Athletics NZ and your centre will invoice you monthly for all manual payments occurring the previous month. Remember to show all members joining your club the Athletics NZ membership declaration as they are agreeing to these terms and conditions by joining the club. Any online member will have already seen and agreed to these in their registration form. 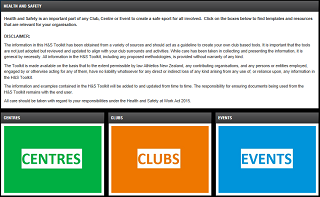 A reminder that Athletics NZ has a range of Health & Safety resources and templates available for centres and clubs on our website. It is important that all clubs have an understanding of their roles and responsibilities under the new legislation and work to provide a safe environment for all those involved. New Zealand Red Cross (one of our Member Benefits partners) are doing a great job helping sporting groups fundraise for AED's (Automated External Defibrillator). It's piece of equipment critical in saving lives. You can read about how they have installed 24 Community AED stations in just over a year here. Athletics NZ will be providing all clubs with the opportunity to mix mingle, share and be inspired at this years Club Connect Conference. It will be held on July 29 2017 in Auckland. We have some brand new and exciting tools and resources to present to you this year. Exciting! Make sure you are there to hear it first. 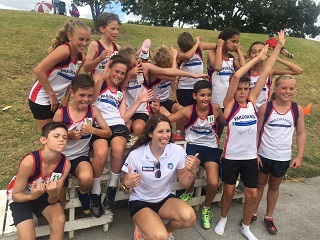 Congratulations to Te Aroha Athletics Club who won the $500 Sports Distributor voucher for being one of the clubs to open a new account with Sports Distributors before Christmas 2016. Sports Distributors are also pleased to offer clubs and club members 20% off selected athletics equipment for April and May for purchases made through www.sportsdistributors.co.nz. Be sure to enter promo code ATHNZ20 when checking out. 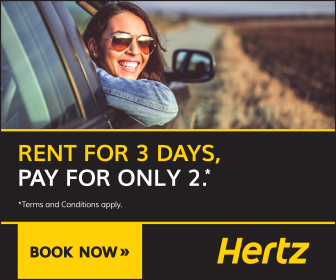 HRG can arrange all your travel whether you are competing or holidaying, travelling as a team, with family or on your own, they offer a full range of travel services. Those competing in sanctioned events may be eligible for additional discounts. Contact us at athletics@tscounties.co.nz with your travel plans. 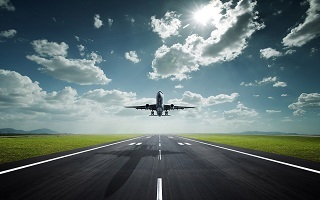 Check out our website www.travelsmart.co.nz regularly & subscribe to receive all the current travel offers available.